New Delhi is the capital of India, the heart of a bustling country of over 1 billion people. The city offers a stimulating sensory experience to travelers with never a dull moment, enriched by India’s unique cultural heritage. Add language study to this equation and you have an unforgettable cultural experience and a compelling story to cherish for a lifetime. 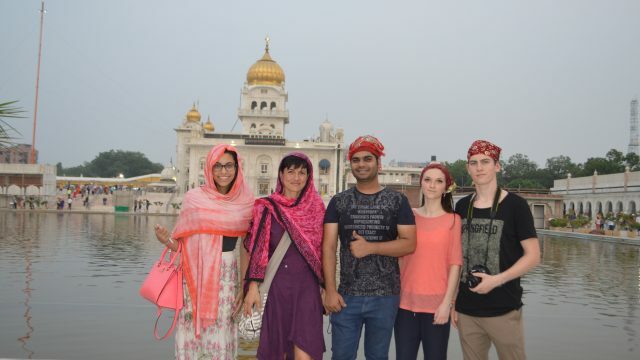 ILSC-New Delhi students are engulfed in India’s warm and friendly culture, so they can quickly overcome their inhibitions and transition into confident language learners and intrepid travelers by the end of their journey. The key to this growth is cultural immersion. Here are the top three ways to experience that immersion with ILSC-New Delhi. A great way to capture it all is by taking classes during the day and signing up for activities in the evening. Our sessional activity schedule always includes laidback activities like enjoying a survival Hindi class, spicing it up with an Indian cooking class, or catching a movie on Movie Night with new friends. 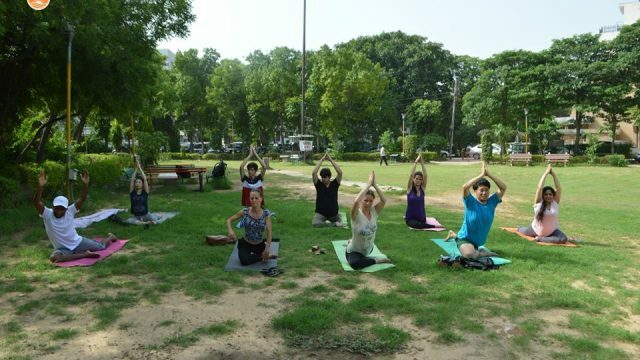 Students can also sample India’s unique heritage with an early morning or afternoon yoga class. Calm your mind and body with meditation practice, as part of a holistic approach to wellness. You can learn simple but powerful Asanas (poses) under certified trainers, and take this knowledge home with you as an intangible souvenir from the land where yoga originated. From sight-seeing cultural monuments to sampling the local night life, or participating in a fulfilling charitable initiative, our activities calendar has it all covered. You can explore Old Delhi, where impressive monuments reveal the history of eras gone by. In New Delhi, visit a diverse showcase of temples, mosques and churches, to better appreciate India’s rich multicultural and spiritual tapestry. Get a taste of outstanding local cuisine prepared from recipes preserved and passed on over generations. Go on a shopping tour at one of the many malls or try a traditional Indian bazaar – but be sure to practice your bargaining skills! Swing by Hauz Khaz Village, a trendy pub and eatery district for a night out with friends, or spend an afternoon of fitness outdoors at the Lodhi Gardens. 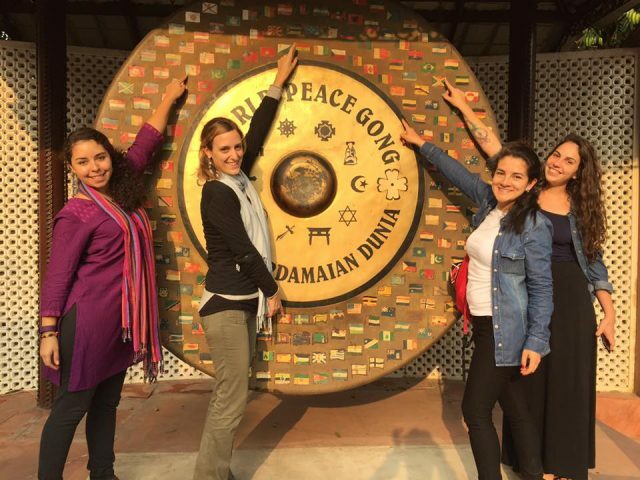 ILSC provides several great road trips that give students the opportunity to get the most out of their long distance travel to India. 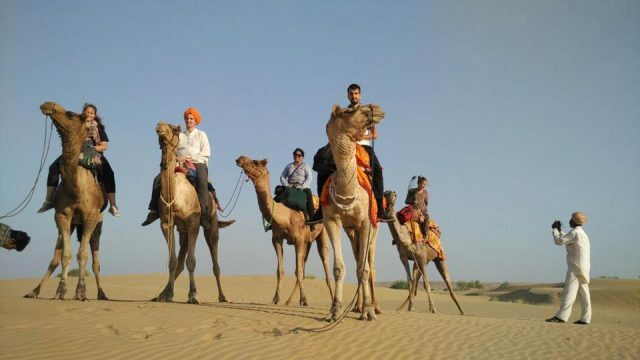 The classic Rajasthan tour takes students deep into the Thar dessert, with pit stops in three colourful and ancient cities – Jaipur, Udaipur and Jodhpur. 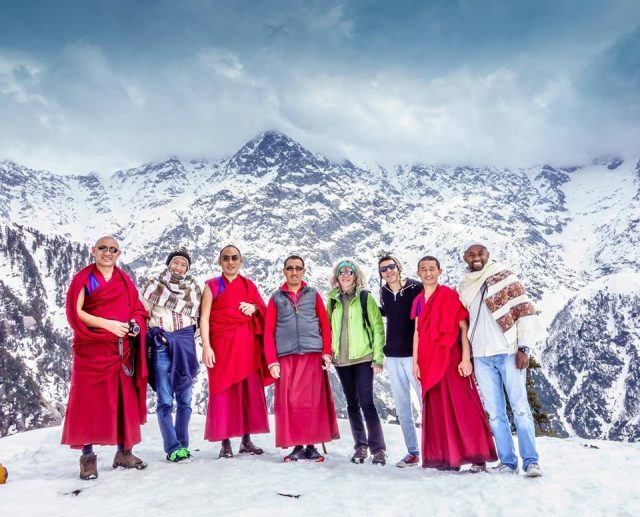 Students can also head north for a week in the serene hill stations McLeod Gang and Dharamshala in the pristine Himalayan foothills. They can visit vibrant Punjab for a weekend trip to the Golden Temple (a holy site for the Sikh community), visit the famous ashrams of Rishikesh, or the wildlife of Jim Corbett National Park. And, of course, a visit to New Delhi is incomplete without a day trip to the Taj Mahal, an incredible architectural wonder, and an eternal symbol of love built by a Mughal Emperor. ILSC-New Delhi students can choose how to weave the fabric of their journey, for an unforgettable experience in Incredible India. Interested in studying English in New Delhi? Find out more about ILSC-New Delhi here. Learn all about the activities and trips we organize here. Watch the video below for some fascinating facts about the city.